No, I am not worried about that. I know that there are many of you who don’t have the option to hire a professional, so you do the best you can to compete in a highly designed and branded world. I am just here to help. So how exactly DOES a graphic designer think? We’ll I can’t answer for all of us, of course, but over the last 30 years of being a designer, I have learned some things that help me keep my work relative, fresh and effective. 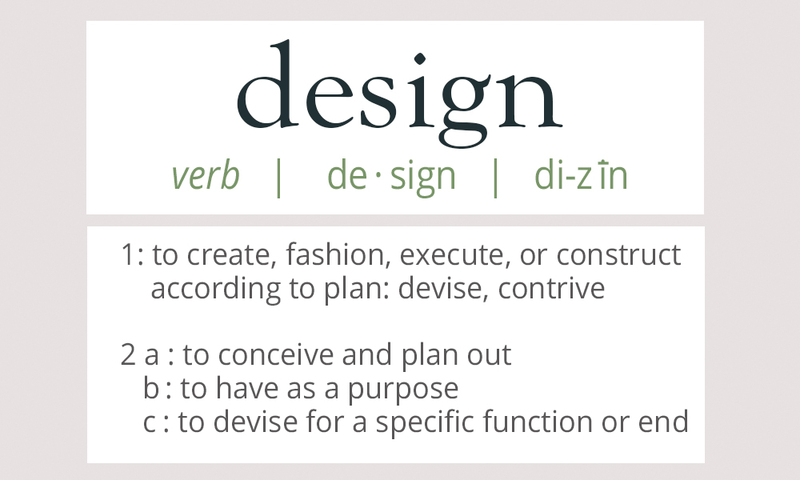 First, let’s define “design”. I think the most important word here is “plan.” Unlike painting where happy accidents are welcome (thank you, Bob Ross), graphic design requires a lot of thinking through thoughts. Let me illustrate what I mean. “Okay, uh, how about our logo on the front and a picture?” volunteers Ted. “Great!” Responds Sally, relieved to hear an idea, any idea. “What should t he picture be of?” she asks. “Uh, how about the front of the office? I can take a pic with my phone?” Ted is on fire with the ideas today. “Okay,” says Sally. “What about the inside?” Her head starts to throb a little bit in the temples. Uncomfortable silence. Everyone looks at Ted, but he shrugs his shoulders and shakes his head. He is stumped. Sally’s headache spreads to the base of her neck. “Do we have a brochure from anywhere that we can look at? Anything?” Joan remembers something and leaves the room for a moment. She returns with a trifold brochure from a computer repair business and offers it to Sally. By now Sally’s tension headache has spread to her shoulders and she is feeling tired and old. “Maybe we can just put our information on the inside like they did; maybe just take the words off our web page?” Joan offers. Sally sighs, sad and defeated; she had high hopes that emphasizing the bigness of the tradeshow to everyone would miraculously spur some real creativity. She takes the brochure back to her office and opens a new Publisher document. It’s better than nothing she thinks to herself. Sally does not have to settle for mediocre (at best). She just needs to think like a designer, which means she needs a plan, and that means she has to ask some questions. What is the most remarkable bit of information about her company? Who exactly will be looking at this brochure at the tradeshow? What is the theme of the tradeshow? What does she want people to DO after they read the brochure? Is a trifold the best option anyway? Those are just the first questions to ask. Design is really a series of choices and decisions, but you have to ask questions before you can make choices and decisions, right? All throughout February I am sharing ways of looking at things from a graphic designer’s perspective on my social media. I’ve already gone well over my suggested word count for blog posts, so I have to stop writing now. But follow me on your favorite social media and you’ll get lots of quick tips on how to think like a graphic designer. Free! And of course, please feel free to contact me if I can help you in any way! Very informative. Enjoyed the read.